Stage 5 Luz Saint Sauveur to Col du Tormalet 18.2km Time Trial. 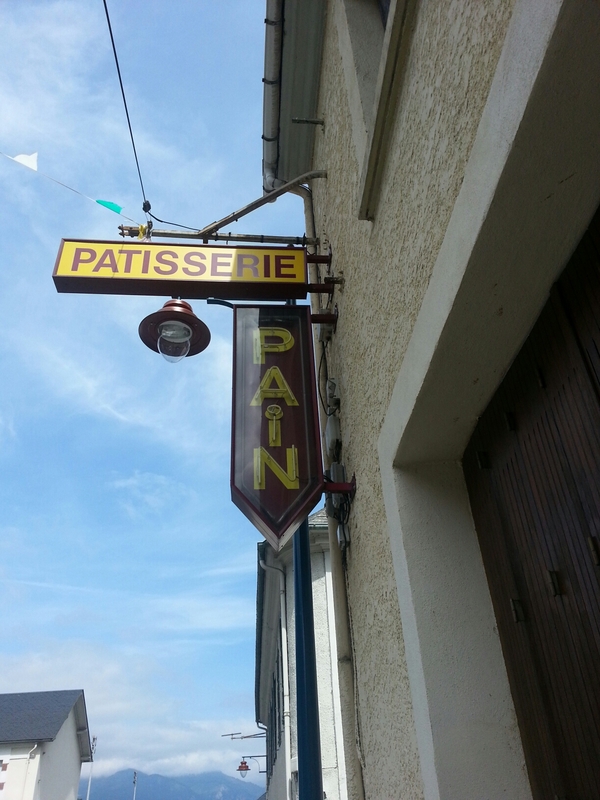 Patisserie and Pain pretty much sums it up. My main challenge today was to try and navigate the time trial starting ramp safely. After am embarrassing wobble I headed out the road to begin the long climb to the top. The climb from LSS is more or less a constant 7% and on a climb like this there are no tactics apart from lose weight before you start. I was overtaken by the rider who started behind me after about 5 km. I over took him after a further 1 km and then he overtook once more and immediately opened a gap of 200m. I made a conscious effort to show down (not hard to do on a 7% gradient.) With 6 km to go I increased by effort slightly aiming to arrive at 3km to go feeling strong. I know the last 4km of the Tourmalet well and so knew where it eased off and knew that the last 2 km are tough. I met my American friend once again with 3 km to go. I heard him increase his effort as he realised that the guy he had passed and dropped 40 minutes ago was back. I responded and pulled away. He was at a steep pitch when I got into the big ring and powered away. As I braced myself for the last big push I knew he would be confused when he rounded the bend. He would at first discount that the guy 300m ahead was me, then he would scan the side of the road for signs of me or my bike abandoned. Then he would look up one more and confirm it was me. By that time the gap would be even wider. I just had to make sure that I recovered enough for the last big push. I suffered the last 2km but kept enough to sprint the final 50m to the line. I had finished very strongly passing plenty of riders in the last 3 km but in reality my time was poor and my position in the field was similar to what it had been on other days. My alarm rang at 05:30 and I made my way through the darkened streets of Font-Romeu like one of those dogs you meet on your way home from a late night party. 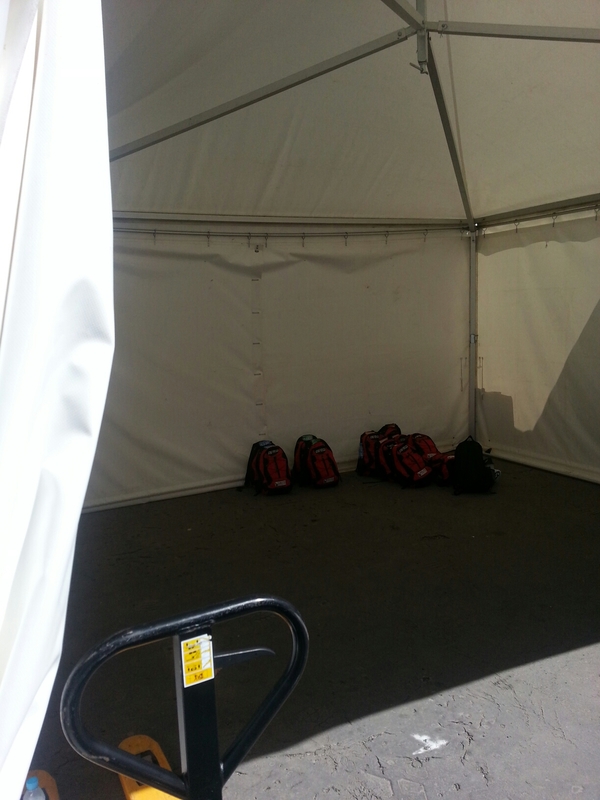 I was first to arrive at the breakfast tent and I ate in silence. I finished breakfast with a hot chocolate and I have to say my mood lifted. Today had two very difficult climbs Col du Port de Pailères rose at 8.1% for 14.9km to 2001m comparable to the Tourmalet. The day ended at Ax 3 Domaines after 8.4km at 8.1% Merde! 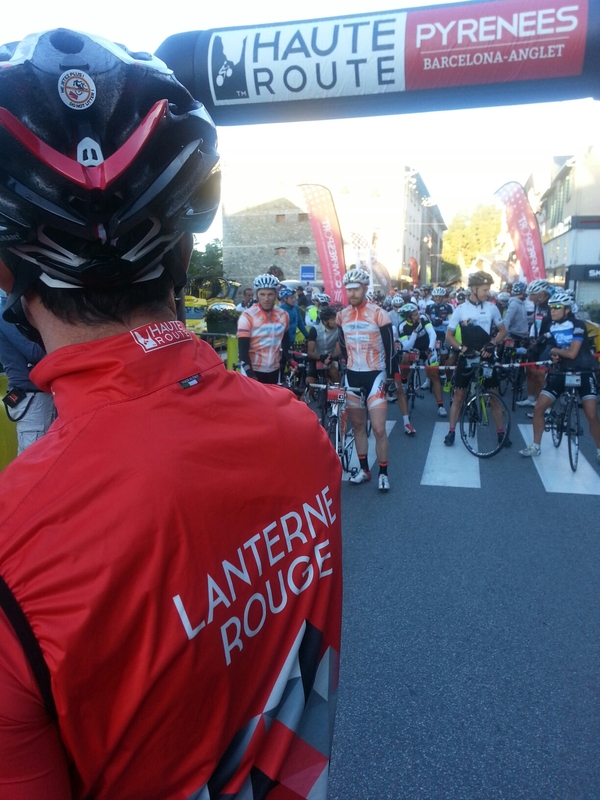 I finished with > 1 hour to spare on the Lanterne Rouge but the amount of suffering I did in the last 3km took some of the shine off the day.